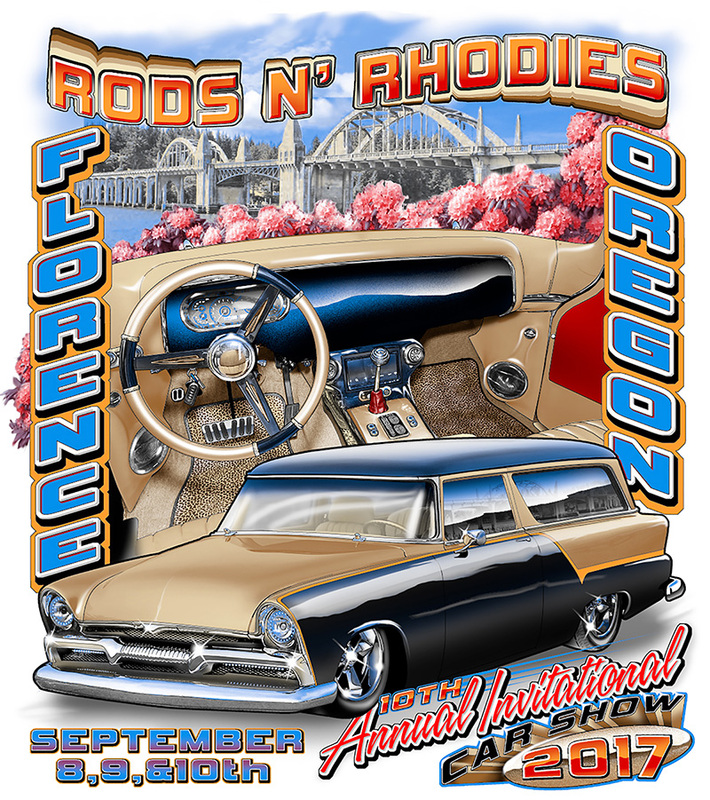 Florence is tuning-up for the 10th Annual Invitational Rods ’N Rhodies Car Show and Community-wide Garage Sale weekend September 8-10. The event, organized by the Florence Area Chamber of Commerce, showcases up to 125 of the best high-end hot rods and custom cruisers from the west coast, dozens of private and commercial sales all over town, and other family-friendly events. “Rods valued in the range of $250,000 are regulars at this event,” adds Hannigan. “We’ll have the American Graffiti tribute cars, the famous “Copper Caddy,” a special screening of the movie with a costume contest, several show-and-shine locations, a classic cruise, vendor fair, poker walks, a Pinewood Derby open to the public, lots of prizes and awards, and perfectly-themed music both days in Historic Old Town Florence. Bargain hunters can pick up a guide to the Community-Wide Garage Sale at the Chamber’s Visitor Center and cruise the bargain trail to see dozens of commercial and private sales all over town from Friday through Sunday. Three Rivers Casino Resort joins the event as a major sponsor this year and will host Friday’s show-and-shine registration event featuring four American Graffiti tribute vehicles, the famous Copper Caddy featured on Velocity Channel’s program Bitchin’ Rides, and Best of Show winners from prior years. Mrs. Lane County, Brenda Ivey, will greet guests during Friday’s show-and-shine at Three Rivers Casino’s Event Center from 4:00 to 7:00 p.m. The American Graffiti Tribute Cars include a yellow 1932 Milner deuce coupe, a black 1955 Chevy 210, a 1958 Chevy Impala, and a 1969 Vespa scooter—and will appear at different venues all weekend. The Invitational Car Show moves to Historic Old Town for Saturday from 9:00 a.m. to 4:00 p.m. and Sunday from 9:00 a.m. to noon where the invited high-end rides, the American Graffiti tribute cars, and the Copper Caddy will be on display again. A poker walk, raffles, a Pinewood Derby open to the public to enter ($5 fee), and live DJ music will add to the day’s excitement. Also on Saturday, from 4:00 to 5:30 p.m., the official car cruise will wind its way through Historic Old Town Florence to the sounds of ’50s and ’60s music. Saturday night features a screening of American Graffiti and an appearance of the movie’s tribute cars at City Lights Cinemas with a 50’s and 60’s costume contest at 5:30 p.m. and the movie beginning at 6:00 p.m.
On Sunday the Invitational Car Show, music, poker walk, raffles all continue on Bay Street in Old Town from 9:00 a.m. to noon. The awards presentations begin at noon, along with announcements of prizes and raffle winners. For more information about Rods ’N Rhodies and the Community-wide Garage Sale, visit FlorenceChamber.com/events, call 541-997-3128, or e-mail events@florencechamber.com.